As the rear end steps out, the HICAS activates to counter the rear end slide, but because you expected the rear end to come out you've already begun to counter steer. So as you turn the wheel, the HICAS turns the rear wheels, and undoes what you've just done! Suddenly you're swerving wildly about battling the HICAS system for control of the rear end. It's a complete disaster and frankly a little dangerous. For even better control and handling look over this guide on Sway Bars, Understeer and Oversteer. The solution is to yank it all out, the entire system, hoses, actuators, etc weighs approximately 60kg, so its a good way to shave some pounds off the already massive GTR. There are a few quick and simple solutions, that effectively lock out the HICAS but don't remove the weight, such as the Tomei kit which handles it electronically. There's also a number of kits that mechanically lock out the system by replacing the rear steering rack with a solid bar instead. This guide is how to completely remove the system. You should have a bucket handy through-out because as you remove each part, power steering fluid (which is corrosive) will leak everywhere. 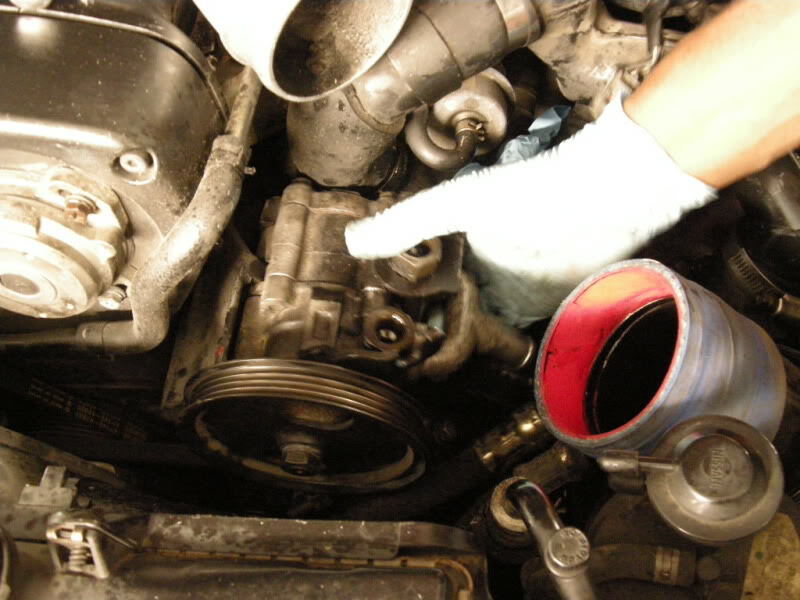 To begin, remove the power steering pump by loosening the tensioner bolt from the under side, pull the belt off and rotate the pulley so you can remove the bolt through the hole in the pulley. Then remove the last bolt holding it in, on the rear and with the reservoir feed hose still connect, rotate the pump downward to gain access to the rear plate. Remove the bolts and lift off the rear plate, there are fins in the back side which drive the HICAS pumps, removing these fins will prevent the power steering pump from over heating once you've removed the HICAS completely. For my set-up I had the rear rack welded so that it would not move at all, this is important because if you don't lock the rear tie-rods from moving, then your car is going to wobble all over the road and you'll likely crash. If you can't weld, then you'll need to buy a lock bar, or a kit like the Drift works HICAS eliminator assembly. Either approach is effective. Starting from the rear at the rack by the differential, unbolt the 2 lines going into the rack, and follow them all the way to the front, removing each part as you go. There's one solenoid near the rear differential, then the lines are clipped to the brake lines, and another large solenoid in the engine bay. Remove all the nuts and bolts, and toss the entire assembly into the bin. Then you'll notice there is a power steering line that used to go from the solenoid to another line and this line is now not connected to anything. That line must be carefully bent and connected up to the other open line near the front. This will create a loop for the power steering fluid, which still uses the cooler in the grill, so you cannot just block this line off. Once you've connected it in a loop, then the job is done. I know it's hard to see from just looking at the photos, but once you're in there getting your hands dirty it will be obvious which lines need to loop to where, just follow each line to and from the power steering pump and around the cooler. The photo below shows the lines looped together, you can see the grey line bent to shape and fitting in just under the black air piping. 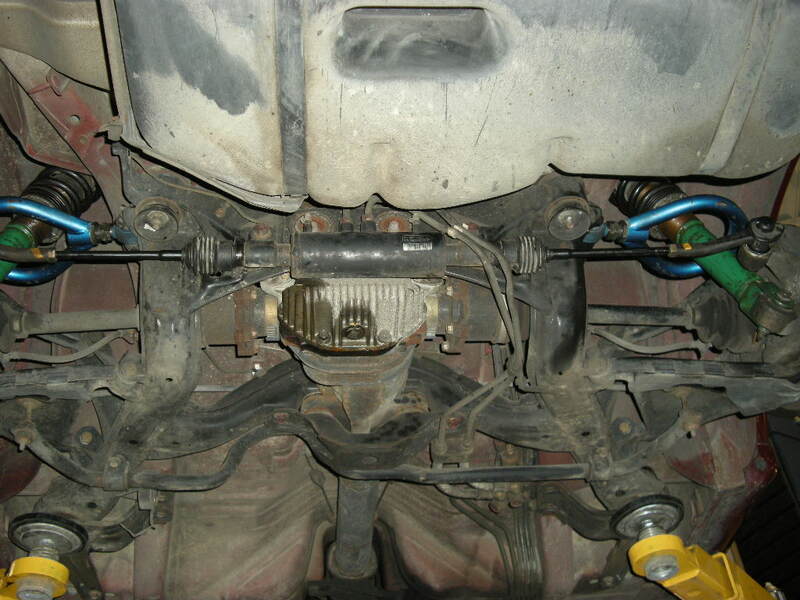 Related: How to Wire Tuck and Clean your Engine Bay. 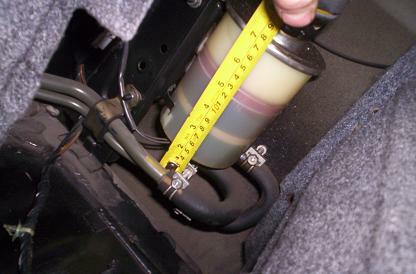 The last thing you'll need to do is head into the trunk, under the rear parcel shelf there is a control box for the HICAS on the drivers side, remove the 2 bolts securing it and look at the plug harness. Cut the green wire with the white stripe and tape both ends with electrical tape. This disables the HICAS ecu from reporting any problems. Altesrnatively you could also just remove the light bulb behind the cluster for the HICAS light but thats not as good as an idea because sometimes the HICAS lamp is used by the ECU in conjunction with other lamps to indicate other problems. 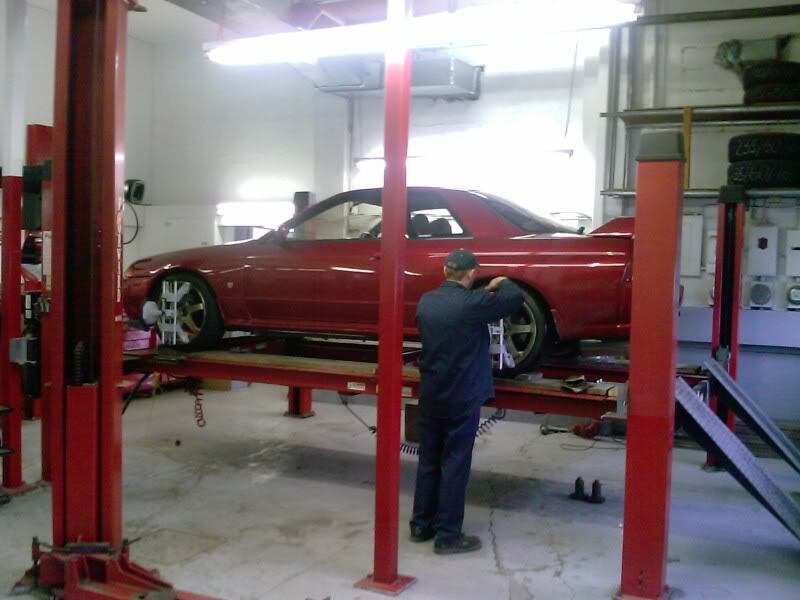 Lastly, don't drive the car to anywhere until you get an alignment done, after messing with the rear geometry, its far too easy to lose control at speed, so make sure to have the car re-aligned. Can this be done without removing the engine? I'd like to have rid of the HICAS on my R33 GTST, but whilst I have a garage and an inspection pit, I don't have the professional tools (or skill / experience!) to take the engine out! I believe it likely can be removed without having to pull the engine, the only trouble may come in need arm space to twist a spanner, or what have-you. I'm thinking of adding a forum to the website exactly to encourage more questions like these! Does this cause the steering to become heavy at low speeds? Are you sure that total hicas weight in a BNR32 is approx 60 kg??!? Have you weighed ? The rack is super heavy, plus you have all the lines and fluid, it adds up quick. Sorry to revive an old thread, but can I drive it at lower speeds to a shop for the alignment? I plan to remove this at home, but have no way to get it in for an alignment unless I drive it. Thanks and great article. Yea that's how I got to the alignment, you do your best when installing the part to make it look like it sits right as possible, and just get to an alignment to make sure it's actually good.